The Department of Petroleum Resources (DPR), on Tuesday allayed fears over the purported circulation of adulterated and illegally refined petroleum products in Bayelsa. 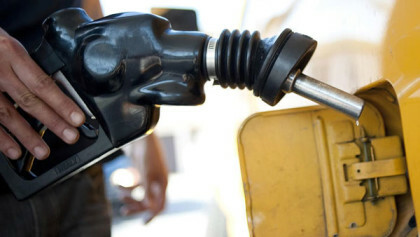 Mr Asuquo Antai, Operations Controller of DPR in Bayelsa, told News Agency of Nigeria (NAN) in Yenagoa that members of the public who patronise licensed fuel stations have nothing to fear. He said that the DPR had increased its surveillance following recent reports of adulterated products in Bayelsa and conducted random checks, which indicated that products in circulation were of good quality. “We got reports that the Bayelsa Government Task Force on Petroleum was after filling stations purportedly dispensing adulterated products in Bayelsa but we investigated and found the claim to be untrue. “I informed the chairman of the task force that DPR was an effective regulator with the technical expertise to detect and check the distribution of substandard products. “It should be noted that petroleum is exclusively under the control of the Federal Government, even though it is understandable that the state government should be concerned about the interest of its people. “We are not aware of their terms of reference and from the way they even go about collecting samples in Jerry cans, it is obvious that they lack the technical know how because you do not collect samples for test in plastic but in bottle,’’ Antai said. He further explained that the activities of illegal refineries were worrisome and constantly a challenge to the DPR. The DPR official said that the agency maintains surveillance on licensed stations to ensure that illegally refined products do not find its way into such outlets. According to him, DPR does not regulate unlicensed stations. He said that the DPR was collaborating with security agencies, whose responsibility it was to raid and close down such illegal fuel outlets. “Unlicensed outlets are out of our scope and what happens is that these illegally refined products find their ways into unlicensed distribution channels, especially those ones at the water side run by area boys. “We have alerted the relevant security agencies who in turn promised to raid such spots on a regular basis and because we cannot get there to take samples for test we cannot guarantee the quality of products dispensed there. “So we advise motorists for their own safety to source products from authorised distribution channels under the watch of DPR,’’ Antai said. On the issue of profiteering and sharp practices, the controller noted that the DPR shut down four fuel outlets in Bayelsa within the past one week.